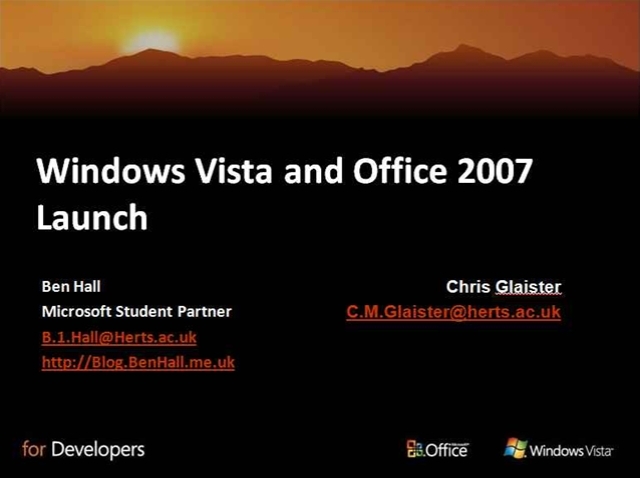 Today I finally got around to holding my Vista and Office Launch event as part of my role as a Microsoft Student Partner. 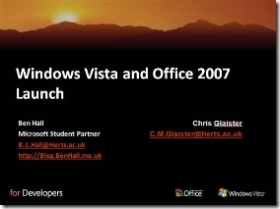 The event was a chance for students to see what was new and upcoming within Windows Vista and to find some of the more hidden features, such as being able to filter search results and the ReadyBoost feature. I felt my presentation went well, although my laptop wasn’t impressed with me playing the Halo 3 HD trailer while connected to an external projector on power saving mode. After a quick switch to high performance battery mode it worked like a charm. I really enjoyed the event and it went really well, plus it was good experience at presenting again. Attendance wasn’t amazing, we had 14 people turn up and 9 filled out feedback. 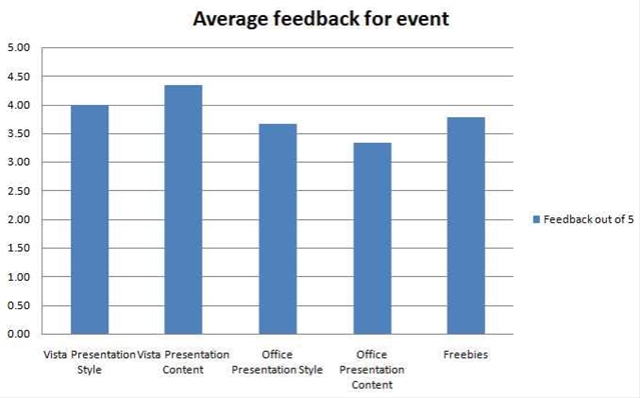 The feedback was based on a mark out of five, so it appears everyone had a good time, which is shown in the chart below. I’m sure the attendance would have been better if I had the launch before easter and not just before everyones exams, however with the Imagine cup and coursework the original timing wasnt suitable for me. 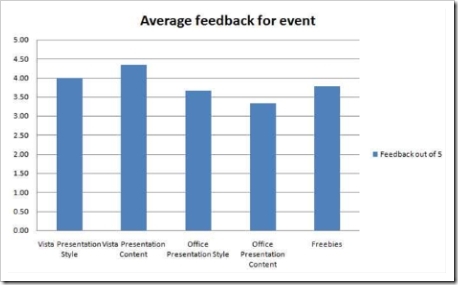 I would like to thank Chris Glaister who gave the Office side of the presentation and helped out with the general running of the event and to Microsoft UK for providing the freebies/prizes.